Controversy has erupted over a Seoul-based research institute’s report on the draft version of a hypothetical peace treaty with North Korea, with conservatives saying it is too early to discuss the matter amid growing frustration over stalled denuclearization talks. During a seminar Thursday, a Korea Institute for National Unification researcher asserted that the current armistice agreement should be replaced when North Korea achieves 50 percent denuclearization. Kim Sang-ki, director of the Unification Policy Research Division, predicted in his draft of a hypothetical peace treaty that North Korea would reach the denuclearization milestone by early 2020 -- before US President Donald Trump becomes engrossed in his re-election campaign. “The chances of hammering out major sticking points regarding the peace treaty are higher than ever before,” Kim said, suggesting there is “growing consensus” on the need for signing the treaty among those who participated in the Korean War. The war ended without an official peace treaty among those who fought three years of bloody battles. Instead, an armistice agreement was signed among the US, North Korea and China. South Korea is not a signatory, as then-President Syngman Rhee refused to sign it. President Moon Jae-in has called for the two Koreas, the US and possibly China to declare an official end to the Korean War. The president described it as a symbolic effort to eliminate cross-border hostilities and establish a permanent peace regime. But the notion has been rebuffed by Washington, which demands Pyongyang make more progress on denuclearization efforts. North Korea has also been aloof concerning Moon’s proposal of adopting the end-of-the-war agreement within the year. “The end-of-the-war declaration itself might not be a prerequisite to establishing a peace regime on the Korean Peninsula. I think there is a possibility of a peace treaty being signed without the end-of-the-war declaration,” Kim said during a press conference Thursday. However, skepticism appears to persist among conservatives, who say it is too early to discuss the prospect of signing a peace treaty amid doubts about Moon’s efforts to resolve the nuclear stalemate between Pyongyang and Washington. Moon’s proposal to invite Kim Jong-un to Seoul is unlikely to materialize within this year, as Pyongyang remains silent on the prospect. Some experts worry such a move could undermine a second US-North Korea summit scheduled to take place early next year. 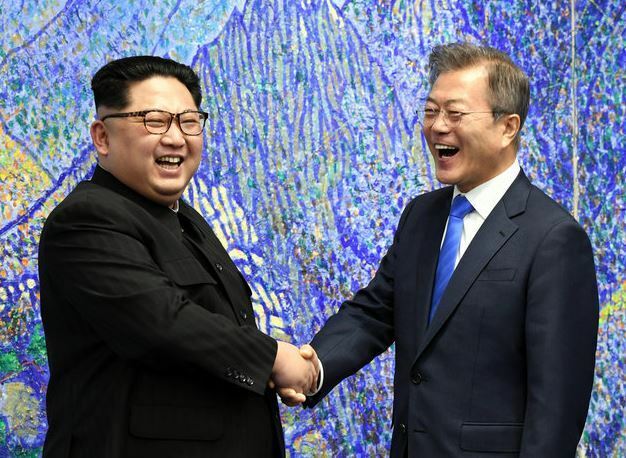 Faced with criticism that the research on a peace treaty could pose as a prelude to the Moon administration’s future policy initiatives on inter-Korean relations, the research center’s chief said the analyst does not represent the government. “We are a research institute. Our purpose was to begin a discussion on the peace treaty. It has nothing to do with an idea proposed by the government,” said Kim Yeon-chul, president of the Korea Institute for National Unification. In his draft version of a hypothetical peace treaty, analyst Kim also touched on a controversial issue that could come up after the signing of the treaty: the fate of US troops stationed in South Korea and the US-led United Nations Command. According to the hypothetical treaty, the UN Command would be disbanded 90 days after the peace treaty takes effect. The command, which supervises the armistice agreement, would be replaced by a new organization run by the two Koreas, the US and China. Regarding the US forces in South Korea, Kim laid out two options -- either the allies begin consultation over their gradual reduction within 2020 or structural arms control on the Korean Peninsula.